STOP PRESS: I'm delighted to be opening the workshop this summer as part of the Artwave Festival! 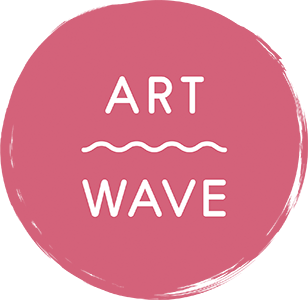 Artwave is an annual festival of artists and makers across the Lewes district, East Sussex. It is managed and supported by Lewes District Council, with kind sponsorship from supporters and advertisers. Summer 2017 saw me participate at one of the central Lewes Artwave locations, but this year I'm welcoming visitors to my workshop here at Village Works in the centre of East Hoathly, part of Artwave's northeast trail. 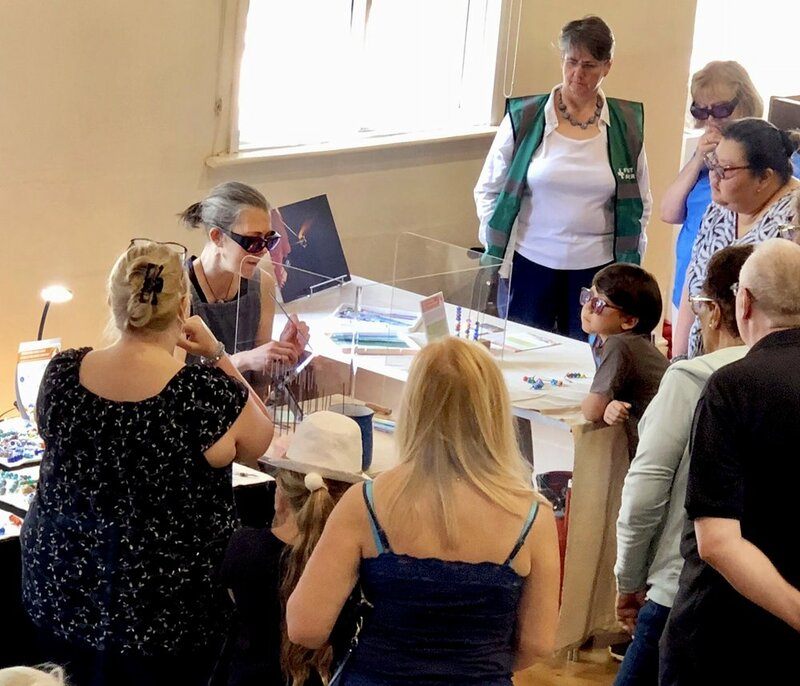 You'll be able to watch me demonstrate the captivating art of lampwork glass bead making at the torch flame, and there will be beads and jewellery for sale. 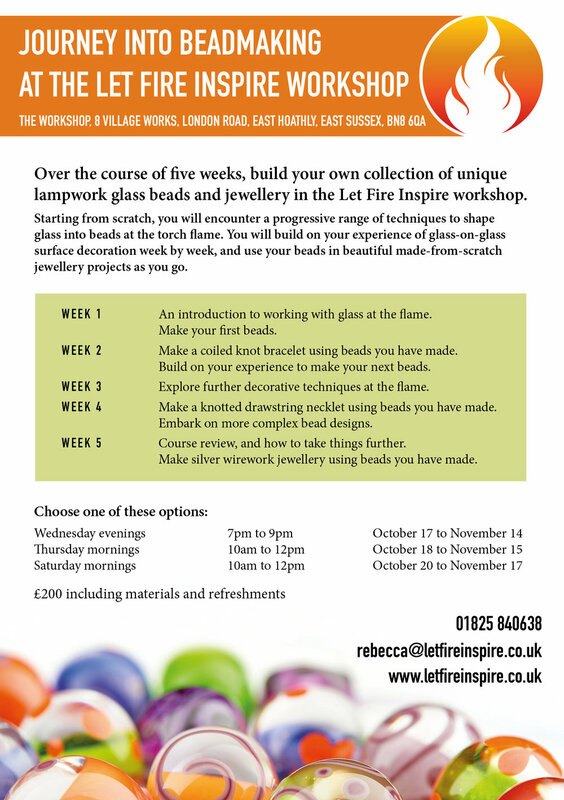 If the sight of lampwork glass bead making lights your fire, why not find out about my courses? The Artwave Festival runs from Saturday August 18 until Sunday September 2. During the festival my workshop is open from 11am to 5pm on Fridays, weekends and the bank holiday Monday.